A couple of years ago, my university friend Lisa came to town with her husband and two young sons for Canada Day. I headed downtown with the girls, determined to show our visitors what Canada Day in Ottawa is all about. Unfortunately it was the year that the Duke and Duchess of Cambridge were visiting, and by the time we all got together and started to head over to Jacques Cartier Park for Super! Big! Fun!, we found ourselves trapped by barriers, closed streets, and massive crowds. We ended up being stuck on a grassy knoll across from the Art Gallery for a couple of hours, just hanging out waiting for the royalty to pass and crowd to clear. By the time we were over at the park, the kids were hungry and hot and tired, so we laid out the picnic lunch. By the time they were done eating, it was almost nap time for the youngest ones and we all wanted some air conditioning. So we headed back across the bridge, which took a lot longer than expected due to crowds and now-cranky children, and by the time we were back in Ottawa, it was time to call it a day. So I am trying to adopt Lisa’s zen-like attitude towards everything we do this summer. 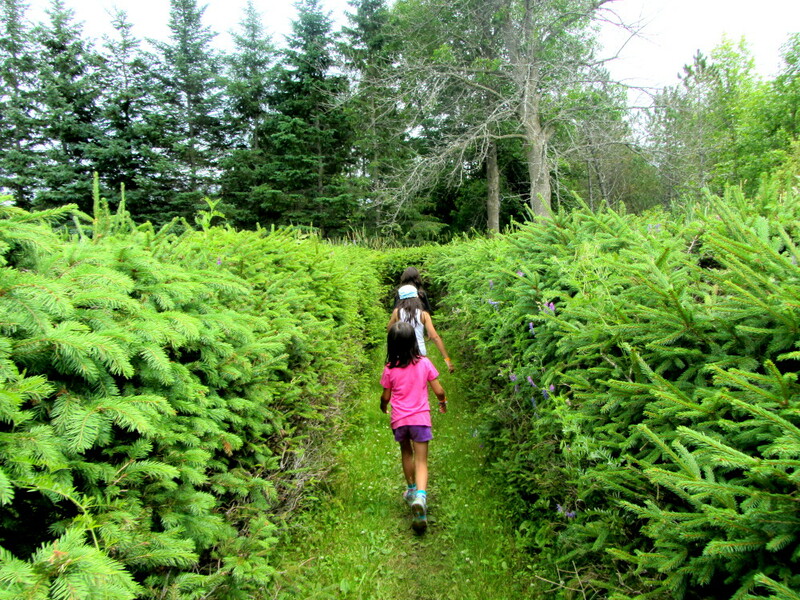 For me and the kids, it’s less a Summer of Awesome and more a Summer of Shared Experience. I am finding, as they age, that it grows ever more difficult to find activities that everyone will love. Someone is always hungry, or bored, or thinks that poking at all their siblings’ hot buttons is more interesting than the offered activity. We’re still getting out – heaven knows, staying cooped up in the house all day is worse – and we’re seeing new things, exploring the town, sometimes running errands. But it’s come to this: harmony is an elusive quality, and every outing is sure to end in either tears, a lecture, or both. But that’s okay. Breathe deep. I do miss those summer days when a daily trip to the park, followed by nap time, maybe a little colouring before BBQ dinner and bed, meant a delicious glow of warmth and sunlight over the entire household. When just loving summer was more than enough to keep us all busy and happy. But that was then, and this is now. We’re all still spending our summers together, we’re all still happy for the good weather and break from routine, we’re all still pleased to see each other each morning (no matter what squabbles and squibbles happened the day before). We’re probably not getting enough time away from each other. But that’s part of the whole shared experience, the making of memories, the stuff that makes us a nuclear family, while we still have a quorum to make fusion happen. So rather than wax nostalgic about the golden days of three toddlers piled into a wagon, coated in sand and sunscreen…and rather than fret about summer days to come when we will be off in five different directions, each sharing experiences with other groups…I’m trying to stay in the present. Here. Now. This Summer of Shared Experience. Whatever we do or don’t do, whatever we see or don’t see, however much we bicker or not – it’s still all together, at least for today. This speaks to me. I am currently dreading our upcoming family vacation because last year’s family vacation was too much driving, too many activities, too many hotels and too much fighting. So, of course, I vowed to make this year’s vacation totally different and guess what! It looks like, once again, we will have too much driving, too many activities and too many hotels, possibly resulting in too much fighting. Sigh. But at least it will be shared activities – and that might just keep me going. Thanks! You are so wise to do this and think this way! Blink and you will be living an entirely different way of “togetherness” with your grown children. Each phase has its glories, but only if we stop to notice them. This speaks to me too but on another level: as a new mom, I’m discovering summer with a kid! Last year he was still too young for most activities and he wasn’t walking. Now I have to keep him busy and somehow survive spending about 12 hours a day outside with him. I’m a bit clueless because I’m not that familiar with family activities in Canada. I mean, alone or with Feng we used to take walks, go to the movies, etc. Kids change everything!